Elements Applied: Grain is the commonly applied element. Used For: Barley is thought to be a good remedy for blood and vessel purification, especially for vessels around heart, which become accumulated with cholesterol. The juice taken from barley stems is a potent medicine for inflammations. According to a research conducted in Japan on test animals, the juice extract produces a positive effect on the digestive system, healing ulcers, and helps treat arthritis. Barley is applied by people who deal with considerable physical loads on a daily basis, helping them to strengthen the muscles. Pearl barley, when processed on heat, excretes a mucilage-like agent that is used as a food supplement by abdominal pain sufferers and those who have sore throats. Barley aided by milk is an excellent remedy for bowel and stomach disorders. Additionally the herb is applied for fevers. Due to its capacity to reduce pains the plant is applied topically for healing tumors and sores of various types. Additional Info: Barley’s history began in the western regions of Asia, where it was first utilized for food, being one of the grains ever used by people. The straight stem which rises from the root is straight and can reach up to 3 feet in height. The leaves are located in two rows on the stem. 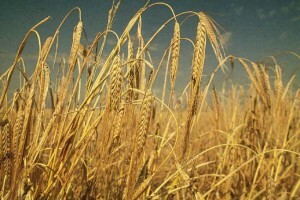 After the blossoming period appear the grains, which are then used by people as food. Preparation and Intake: To prepare a decoction, clean 2 ounces of barley thoroughly, then pour a cup of water on it and let stay for several minutes. Pour the water out and boil the grains in 4 water pints till the amount reaches 2 pints in total. Filter the grains and apply when necessary. A remedy called barley water is prepared as follows: pearl barley is cleaned in cold water. The grain is then cooked in water in a proportion 1:9. After boiling it for 20 minutes filter the result. The common dose is 1-4 ounces.